"We are contractors and specialize in residential homes. Linda works very hard to keep us informed on the status of our listings. She is calm and reasonable when dealing with clients. She always points out important information on offers that we receive and advises us when we have to counter offer. We always feel that should is looking out for our best interest. We are very happy to have Linda as our realtor." "Linda sold our home in June of 2015 and she was an absolute professional and pleasure to work with. She made the process painless and got us everything we asked for and more! I would recommend her to anyone." "Very attentive to our needs and helping us weed thru market. Very observant in issues of properties we looked at as well as neighborhoods. Fast response in new listings posted for viewings. Very personable and professional. Highly recommend!" "Linda helped my husband and I purchase our first home. After she spent time showing us homes in the area, we decided to purchase a home that was not currently on the market. Linda's knowledge of the community and strong relationship with past clients made this transaction possible. Linda was able to lead us through the steps as first-time home buyers. Linda's guidance, energy and patience made our first home buying experience very smooth. Linda is very responsive and extremely open and honest. It was very easy to trust her with our transaction. We will definitely use Linda when we are ready to purchase again and recommend her to anyone looking to buy or sell a home." "This was the second time I had worked with Linda and both times I got just what I was looking for in a home that fit my needs at that point in time. This past summer Linda helped my fiancé and I sell the first house I had ever purchased in Columbia, MO and purchase a new house in Ashland, MO. This was the first time I had sold a house and was nervous going into the process. But we trusted Linda and in the end due to her flexibility and involvement throughout the negotiating process we were able to sell the house we were in and purchase a newly built home, all fitting within our budget and meeting our needs. She utilized technology allowing my fiancé and I to see updated contracts and sign documents at anytime with our mobile devices. This helped to make the process as simple as possible. We ultimately sold our previous home and closed on the new one in the same day! We are almost 6 months in our new house and could not be happier with the home and the experience we had working with Linda." "Linda helped my wife and I purchase our fourth house. She was kind and helpful throughout the entire process. She was never pushy, as we know some realtors can be. She was very patient with us and extremely professional and fair in all her dealings. My wife and I are in the lending industry and we speak with realtors on a daily basis as we help our borrowers go through the home-buying process. Linda is truly a professional who will meet and exceed your expectations." - Billy and Lisa W.
"Linda was an outstanding real estate agent to work with! The transaction between myself and the buyers went 100% smooth with no issues. Linda was excellent at returning calls promptly and always took the time to answer any of my many questions. She was always punctual and made sure that every detail of selling a house was taken care of. I was completely at ease with Linda, as I knew she would take care of whatever matters would arise. Linda is a very kind and thoughtful person and it shows in her work. 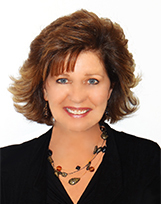 I would definitely recommend Linda for any real estate transaction." "Linda was quick to respond to any questions and her answers were always thorough. She kept us in the loop on any development or options. She was never pushy or patronizing in any way. She would always take the time listen to any concerns I have no matter how small. Given the stressful nature of the real estate, she always made me feel better. I am grateful to her for everything!" "Linda has been our realtor and friend for years! She is so hard working and honest. People in this area would be hard pressed to find a more knowledgeable, kind, hard working agent. We looked for our "forever" home for years, and she never gave up on us. She was always right there when we wanted to look at a home even if she would have to rearrange her schedule to accommodate ours. With her determination and continued hard work, we finally found our home! She made the process painless and easy! I have and will continue to recommend her to anyone looking for a real estate pro!" - Steve and Julie G.
"Linda was very easy to work with. She always met with us when it was convenient for our busy schedules. She was very knowledgeable of the home we ended up purchasing. We called on several occasions to ask additional questions and she always got us the answer in a matter of minutes. Being our first home purchase, Linda made sure to go above and beyond to make us feel comfortable throughout the whole experience." - Jackson and Lauren W.
"Linda Gilpin is EXACTLY what you want in a realtor! She is the most knowledgeable, hard-working and professional realtor we have ever worked with and she always has your best interests at heart. We can't recommend her highly enough and would work with her again in a heartbeat if we ever move back to the area. Thank you Linda!!!" - Mark and Kristi A. "I highly recommend working with Linda. She helped my wife and I find a great home within our price range. Her attention to detail is great and she made the whole process very simple for us. Even while on vacation she was picking up our calls to ensure we were taken care of." - Jon and Michelle M.
"I have been so blessed and privileged to work with Linda on several real estate transactions. If you are lucky enough to work with her, you will soon appreciate her work ethic, honesty, caring and expertise. She is a great listener. She works tirelessly to accommodate her clients. I have had a long term business relationship with Linda and I expect a lot. I consider Linda not only one of the top real estate agents in the business but also my friend. If you want your home sold, hire her. If you are in the market to buy a home, she will search endlessly to find the perfect fit. I am a loyal Linda Gilpin fan and would recommend her with the highest regard." "Linda is an excellent realtor. She is very knowledgeable in her field and in the area in which we sold our home. She was very patient with us and made sure we understood the entire process every step of the way. We had originally tried to sell our home ourselves with two months of no luck, Linda had it under contract in a week!" - Aaron and Mikka L.
"Linda is the best in the business! Linda has sold two homes for us quickly and helped us purchase a home and land. Linda is always available for your questions and concerns. You can't go wrong with Linda as your choice!" "We contacted Linda after having a less than satisfactory experience with another local real estate agent, so she was not starting off with the most "excited" clients when she got our call. Within just a few days, our concerns from our previous experience were completely gone. Linda went above and beyond in finding people to tour our home while it was listed and did not simply sit and wait for people to come to her. Her responsiveness and communication throughout the process were absolutely perfect. I never had any trouble getting in touch with her if needed, even if she was out of town. She also handled the buying side of our transaction. We purchased a very unique property that required a lot of communication back and forth between us and the sellers - which she handled with zero complaints. I work in the mortgage business, so I do know how valuable a good realtor can be to a transaction. Linda was by far the best that we could find in the area and she will be the one that we contact in the future for any real estate needs." "Linda helped my fiancé and I purchase our first home. She spent a significant amount of time showing us homes in the area. Due to her familiarity and relationships with the community she was able to show us homes that we would not have been able to see on our own. She is incredibly patient, very prompt in her responses, and extremely open and honest. We never felt any pressure from Linda. Her knowledge made our experience as first time home buyers as stress free as possible. We would absolutely use Linda again and recommend her to anyone looking to sell or purchase a home." "We listed our home with Linda Gilpin when we decided to move from the neighborhood we had lived in for 18 years into a home on one level. Linda asked us questions, showed us our options, and eventually found us our dream home. Prior to selling our home, she did a walk through and gave us suggestions on what we could do to help the house sell. Her recommendations were spot on. We completed what she suggested, put the house on the market, and it sold within a few days of listing it. While looking for another place to live, Linda listened to what we wanted and only took us to homes that fit our needs. The whole buying and selling experience was profitable and pleasant. I have recommended Linda to several of my friends and will continue to do so."